Snapchat is one of the most popular apps used by people of all ages. Whether taking a “selfie” with a co-worker for your “My Story” or posting a video of what goes on in the day-to-day of your company, Snapchat is changing communication between businesses and consumers for the better. Here are five ways to use this technology to grow your business. The first step to having a successful Snapchat account is to gain a foundation of viewers that are interested in what your business has to say. 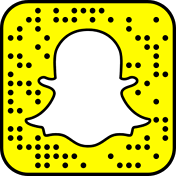 Work Snapchat into your current marketing campaigns by making sure that every potential customer knows and can find your Snapchat account. Include your Snapchat handle in all advertisements to gain followers that are already interested in learning more about your business. Offer an incentive to follow your social media platforms such as offering exclusive behind-the-scenes content, special deals, etc. The growth of your Snapchat is limitless if you are consistently growing your audience. Snapchat is revolutionizing the way that businesses are able to communicate with customers. Kate Talbot, from Social Media Examiner, suggests interacting with viewers in a more personal way by taking them behind-the-scenes of your company. Talbot recommends snapping some pictures or videos of office parties, your design process or even your newest products. Forge strong relationships with customers by allowing them to see your business like never before. By showing the behind-the-scenes, you are showing consumers the human side of your brand, making it easier to relate to your business. People are loyal to brands they can relate to. Snapchat is a great way to spread the word to a wide audience. Sujan Patel, from Entrepreneur, suggests giving viewers the first look at your newest products by posting information about them on your Snapchat feed. Patel explains that because Snapchat posts are so accessible, informative and efficient, just a few posts about a new item can generate feedback from customers before your product even hits the market. Include a call-to-action when showing new products. Do you want feedback or are you trying to close a sale? People will respond if you tell them what you are looking for. Partner with other businesses to work together in growing your brand on Snapchat. Tina Shakour, from Social Media Week, recommends finding other businesses that will post about your company in return for your company posting about them as well. Shakour explains that this opens your business to an entirely new set of viewers and increases your accessibility to potential customers. Gaining new followers and proving your credibility through partnerships with other businesses is a win-win situation for growing your company on Snapchat. Have you ever been looking through the possible filters for a Snapchat post and come across a geographic location used as a filter over an image? Alex Heath, from Tech Insider, suggests that you consider growing your online presence by creating a geographically appropriate filter for potential customers to use. Heath explains that Snapchat allows anyone to choose the design, time span of visibility and location of which your specific filter is accessible. Create a filter for a company picnic or for a special holiday that has to do with your brand, such as “National Coffee Day" for a popular café. Design a geofilter with your brand name/logo for people to use when visiting your company. Using these filters is a great way to put your brand in front of entirely new groups of people. Expand your geofilter into your competitors’ neighborhoods to draw attention to your brand from a variety of people who may be looking for the exact services your business can provide. Simply creating a geofilter that is interesting enough to make people want to use it when in the area of your business is a great marketing campaign. Generate geofilters for your community and quite literally put your brand on the map. Using Snapchat is a great way to enhance your online presence and grow your business. Start snapping pictures and videos that build relationships with potential consumers and open your business to a world of new possibilities. Endless creative opportunities are just a snap away.